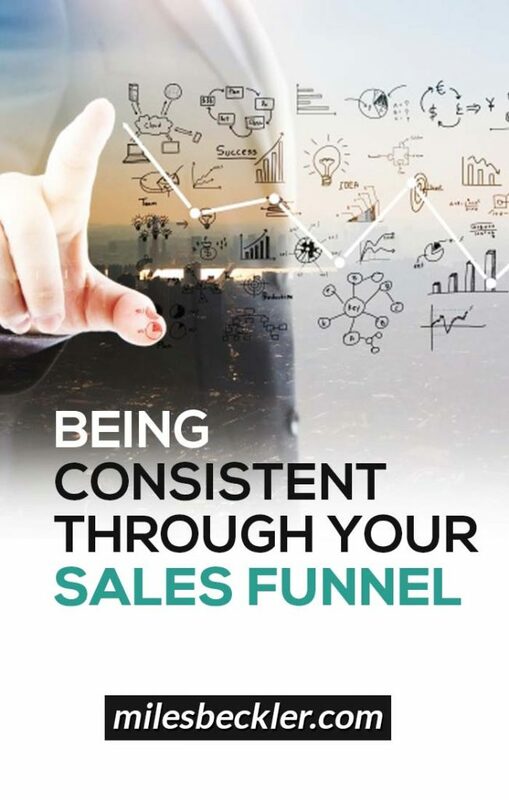 In this blogpost, I’m going to be talking about the importance of being completely consistent throughout every step of your sales funnel. I’ll discuss 3 specific areas in which your consistency should be seamless and I will also explain why this consistency is so imperative. This means that your user needs to have a very seamless and consistent experience at every single step of your funnel. Even the small details here are important and have the potential to really impact your sales and clicks. Details as small as your website’s button colors to the way in which you frame your videos on each of your website’s page--all of these details contribute to the users’ experience. Let’s discuss 3 simple areas in which you can simply streamline your consistency. Make sure your sales funnel is entirely consistent in the smallest of details. For example, check the colors of your buttons that your users will utilize as they click through your website. Over the last few years, I have utilized several types of squeeze pages and shopping cart systems to test different funnels. These various systems have worked pretty well for me, but a few weeks ago I noticed that the button color on my OTO page was different than the button color on my opt-in page. I’m not saying here that it is the specific color choice that makes the difference but rather that it is imperative that each of your buttons on each of your pages is the same color. Now that I have gone through my sales funnel and made sure all of the button colors are consistent, the one click upsell after the OTO has gone up by about 10 percent in conversion rate which is a total big bump for me down the line. The second method of consistency that I have incorporated into my sales funnel is checking for consistency in the images that I use. I have started using one specific image of my wife throughout all stages of my sales funnel. This photo is a headshot of my wife, isolated in a PNG, no background and a nice circular frame surrounding it. We use this photo on our Facebook fan page profile. This picture is also the one displayed in advertisements. When users click through the advertisements to go to our website they see the photo. They also see her on the checkout page. The color scheme of the checkout page even matches the photo. I have this same picture of my wife at 4 stages of the checkout process. The third method of consistency is very similar to the second one but instead of using a consistent photo, it is also important to use similarly framed videos. From the users’ starting point on my homepage to my OTO page, I utilize videos of my wife that are all framed very similarly. In this video, my wife is in the backyard of a place in Sedona--a brown adobe wall behind her, a plum tree above her and a purple outfit. I use that video as the starting point for the sales funnel. Then for the OTO page, we made another video in the exact same spot with her wearing the same outfit. Although the content of the videos is different, the frames look nearly identical. Why is consistency in your sales funnel important? Consistency in things as simple as your button color is really important in terms of your users’ experience. As your user goes through your funnel and as they experience an orange button, then an orange button, and then another orange button, and then a green button, this will subconsciously throw them off and trigger a reaction that something is not right. The moment that the user feels that something is off, is when they will click off of your checkout page and your chance to sell is gone. If you can make every step of the process feel very similar, then they're going to stick with you and they're going to make it further through your funnel. Consistency is important in subconsciously providing a uniform experience for your user during every step of your sales funnel. To use the example of using the same picture of my wife through every step of my sales funnel, consistency is important in assuring my users during the checkout process that they are in the correct spot, that they have not made any incorrect clicks. They see my wife on Facebook, they see her on the website, they see her again during the checkout process and they feel comfortable, and they are more likely to trust the process if each page is consistently uniform. Go through your own sales funnel as if you are the user and double and triple check for absolute consistency in every detail. Go through each step and with each step ask yourself, “Does it feel like something has shifted? Is this all consistent?” Because the second your user feels like something has changed, you will lose them. Don’t completely wipe out everything you have been doing. Make sure to run scientific tests and let the data confirm what I’m telling you. But I am confident that if you have multiple colors, several themes, and fonts this will be to your detriment. When you create continuity and consistency in your funnel you will assuredly see an increase in your conversions all the way through your funnel. Be sure to leave me a comment below and let me know what you are doing to streamline your sales funnel and also let me know the results! Awesome advice right there Miles! Those little details that make the difference and that may slip through our minds are the ones that make the difference. 100%! Success is the result of a million little things, not one big thing! It's good for me to think about these things as I the website and sales funnel for my husband's mentoring website. It's also good to know that with these things you can continue to tweak and edit to make them better as you go. Still, it's easier if you have your eye out for details like this from the beginning. Thanks for the tips! The guy you mentioned in another post (Ryan Deiss) suggested that we use a logo to show visitors we're an actual company... they say it's important nowadays. What you think about this? I think that there is no way to make a blanket statement for all niches. So it sounds like an idea worthy of testing so you can let the data guide you whether it increases or decreases your conversion rate.